Stakes-placed galloper Bocce is set to resume on Saturday in the Faulkner Drainage 3YO (1215m) at Rotorua and has won a trial to fit him for his return to racing. 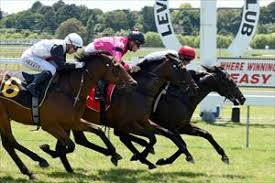 Trained by Mike Moroney and Pam Gerard, Bocce was a debut winner before finishing third to Champion Two-Year-Old Avantage in the Listed Karaka Million (1200m) and fourth in the Gr.1 Sistema Stakes (1200m). “He won his trial well recently at Cambridge and came on for it,” Gerard said. Although quite tractable as a young colt, Bocce has been gelded since last racing. “He seems to be doing everything right and is a bit more settled,” Gerard said.